The maize scenario in Asia is somewhat unique compared to the rest of the world. Firstly, 70 percent of the total maize produced in Asia is used for feed purposes, 23 percent as food, and 7 percent for other uses. The feed demand has opened a new market for maize in South Asia. Responding to demand from expanding poultry feed markets, the area of maize planted in Bangladesh rose from only a few thousand hectares in the 1980s to more than 200,000 hectares in 2007-08. Still, as recently as 2005-07, the local production of maize in Bangladesh could meet only 55 to 60 percent of national maize demand for poultry and other feeds. 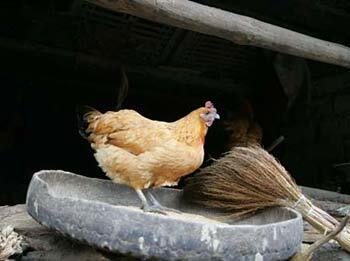 The incidence of bird flu in 2008 also drastically reduced the area under maize cultivation in 2009, as there was no significant demand for maize. This indicated that maize production in Bangladesh is highly dependent on the poultry industry; it also signifies that sustainable maize production in Bangladesh cannot be achieved without diversifying its uses, including promoting maize for human consumption.